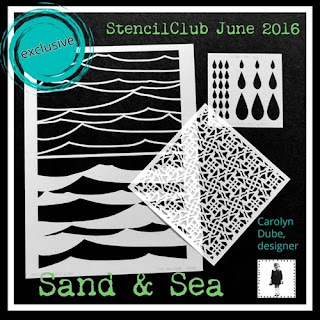 Explore composition and pattern as you use Playtime, the set of stencils Carolyn Dube designed exclusively for StencilClub. 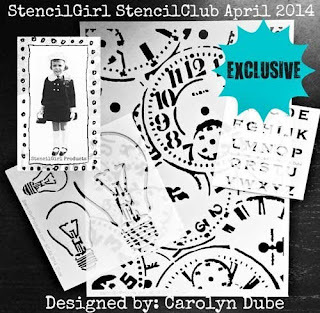 Here's a peek at part of what Carolyn has in store for members with these stencils! 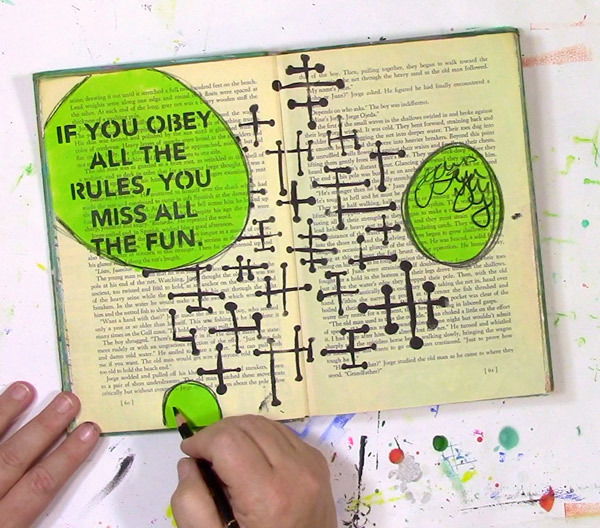 The large 9"x12" stencil was designed for borders and backgrounds. Create an abstract vibe with the small 6"x6" is stencil. The mini 4"x4" is a classic quote by Katherine Hepburn. Remember playing jacks and marbles? There were rules for playing those games, but Carolyn only has 3 rules for stencil play and she'll share them in the exclusive stencil lesson she has created for members of StencilClub. 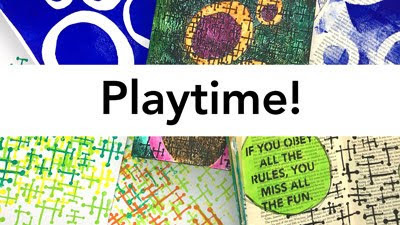 Click here if you can't bear to miss out on art journal and printing Playtime! Already a member of StencilClub? Need Carolyn's past club sets? I am a Voices artist for this set and had a lot of fun playing! I wondered if the 4x4 was meant to be cut apart but was afraid to do that! I know, silly me. So NOW, I am REALLY going to go to town! Thanks, Carolyn! I can't wait to see what you created Margie! And yes, cut up anything you want!! Ohhh how fun are theseeeeeee! Glad you like them Kristie! I enjoyed this set too. As the Voices guest for August, I loved the texturing options on the 9x12. Excited to see what you've created Beth! Interesting ! Can't wait to play with them ! So looking forward to seeing what you make Edwige!